Soft and delicate, our Blissful Birdcage save the date cards offer a simple but fun way to make your big announcement. 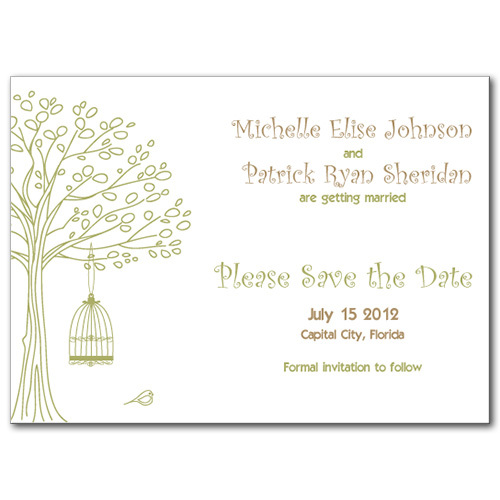 Whimsical branches amidst a gracefully slender tree feature a beautifully hanging birdcage in soft green hues that give the look a naturally pleasant feel. Customize with the wedding font of your choice and your own personalized message. Blissful Birdcage For the best experience, we recommend personalizing your stationery on a desktop computer.